The Greater Scranton Martin Luther King Commission Fund at the Scranton Area Community Foundation is a donor-advised fund that supports the charitable works and activities of the Greater Scranton MLK Commission. 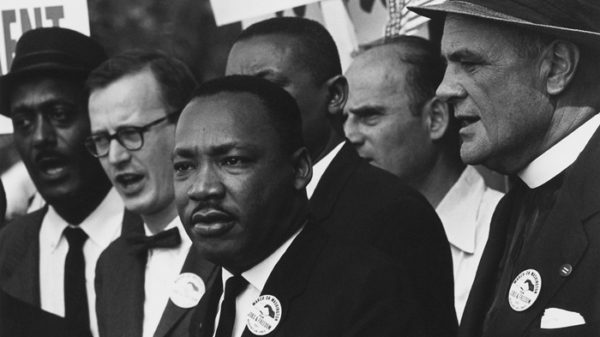 In honor of Martin Luther King, Jr. Day, the Greater Scranton MLK Commission will host their annual awards dinner on Sunday, January 20, 2019, from 2:30 pm – 5:30 pm in the McIlhenny Ballroom at the University of Scranton. Proceeds raised at the event will be used to support the Greater Scranton MLK Commission mission which is to highlight Dr. Martin Luther King Jr.’s principle of facilitating cultural and legislative change using non-violent means. Andrew Aydin, creator, and co-author of the graphic memoir series, MARCH, Coretta Scott King Book Award Author Winner (2014, 2017), and digital media advisor to U.S. Congressman John Lewis, will be the keynote speaker. Assistant professor of Theology and Religious Studies at The University of Scranton, Joel B. Kemp, Ph.D., will be the featured guest speaker. The Scranton Area Community Foundation is proud to work with the Greater Scranton MLK Commission to carry out their charitable activities. For information about this event, please visit http://www.scranton.edu/equity-diversity/mlkcommission.shtml. Interested in starting your own donor-advised fund for charitable giving? Please contact Kevin Salaway, Senior Director of Development, at ksalaway@safdn.org or learn about planned giving options by visiting our planned giving website safplans.org.